I’m a part of the EmotoBook Revolution. Let me tell you how that happened (I’m a story teller, that’s what I do). Writing an EmotoBook changed the way I look at writing. So let’s start there. For me, a story starts with a dream — vivid color and poignant action streaking across the movie screen of my resting mind with abstract gravitas. I think the strangest thing is that there are never any words. 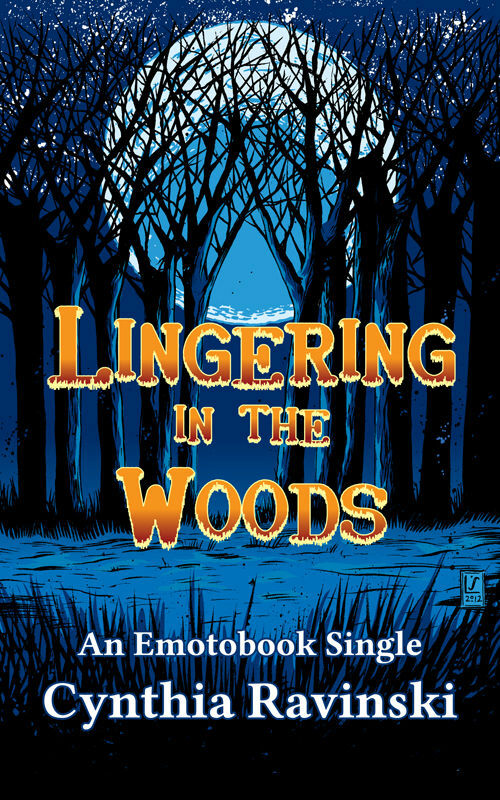 When I began the editing process for my EmotoSingle, Lingering in the Woods, it was glaringly obvious that my instinctive use of imagery was not as effective as I would have hoped. I’ve always tried to keep my stories visually balanced, like in my dreams, but it became apparent that in doing so, I reduced the impact of important scenes. Encouraged by my editor at Grit City, I intensified the imagery in the most powerful parts of the story as a seat for the abstract artwork going into the story. Through this craft element, I added a texture to the story I wouldn’t have found before, visually highlighting the peaks and valleys of the plot. Writing stories is a grand puzzle with no absolute solution. Trial and error is the best way through that maze. I only hope that my work’s images burn lively in the minds of readers. Cynthia Ravinski writes EmotoBooks, among other things. From her coastal northern setting she works language into stories. She’s been an athlete, a co-pilot, and a world traveler. 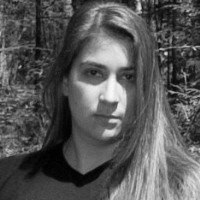 She’s basked in the light of great poets, and has been educated to high degrees at UMaine Farmington and Seton Hill University. To say she is obsessed with drinking tea is an understatement. You can find Cynthia at her blog, on Facebook, and on Twitter (@CynthiaRavinski). Thanks for letting me post today and get the word out about Emotobooks. My pleasure, Cynthia! Thank you for sharing your writing experience with us! 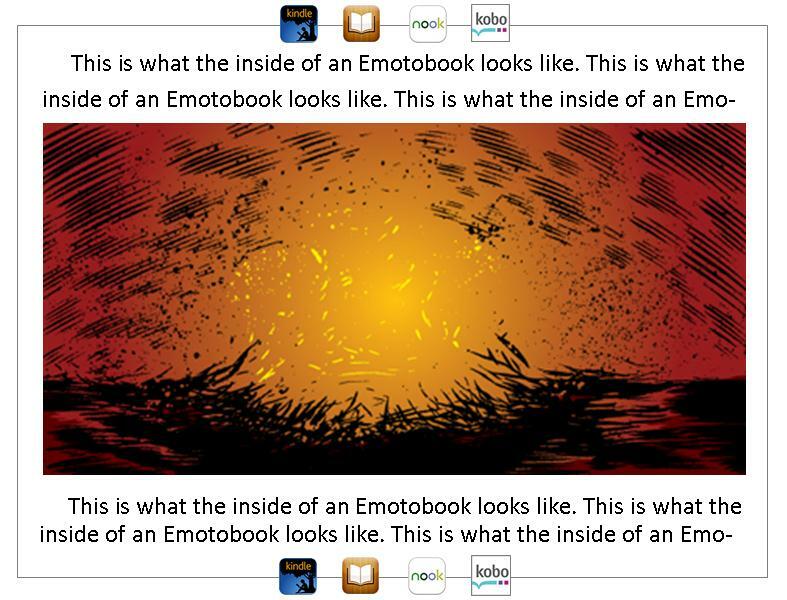 This is the first I’ve heard of emotobooks. I definitely want to check this out. It was new to me, too, Miriam! Cool idea, huh?